Bats, Birds, & More, Inc. Despite popular belief and the sales tactics of some companies, an individual bat inside or outside a home or structure does not mean an actual problem exists. Yes, that one bat may be an issue that needs addressed, but is there more to this problem or is it an isolated incident is the question that really needs addressed. By understanding the different situations and problems that can be encountered with bats, the owner is better equipped to deal with it and determine when steps need to be taken like hiring a professional. The most common bat conflict involves an individual bat that has entered the building. How the bat entered the building is a puzzle that is almost impossible to solve, even for the professional. Although there are 47 species of bats commonly found in the United States, not including subspecies, very few of these species actively seek out shelter in homes on a continual basis. The most common intruders are Little Brown Bats (Myotis lucifugus), Big Brown Bats (Eptesicus fuscus), Evening Bats (Nycticeius humeralis), Mexican Free-trail (Tadarida brusiliensis), and Pallid Bats (Antrozous pallidus). When a bat is noticed inside a building the FIRST step is to determine if there has been any exposure to any pets or individuals. If there is any uncertainty, the bat should be captured and then submitted to the local health department for rabies testing. This can be done by either hiring a professional or by following these steps. Get a pair of thick gloves, (leather work gloves are best), a coffee can or Tupperware container, and a piece of stiff cardboard. Put on the gloves while waiting for the bat to land. Give it several minutes to relax then slowly approach the bat from the side with the container and cardboard. Once the bat is within reach, position the container with the open end lip against the wall then tilt the bottom out to form a 30 - 40 degree angle. Slowly move the container up to the bat from below making sure to keep the can at an angle. This is very important as the bat will end up "jumping" over the can instead of into the can if it tries to fly away. If this happens wait for the bat to land before trying again. If the bat stays still proceed to cover it with the container trapping it. Place the cardboard above the container then proceed to slide it between the container and wall forcing the bat into it. Use the cardboard as a makeshift lid until a more permanent lid can be installed if necessary. Store the bat in a dark cool area until the health department has been consulted with. The rabies test involves checking the brain tissue of the bat for the virus. DO NOT smash the bat, hit it with a tennis racket or broom, or store it in a location where it will die then begin to deteriorate. If the bat is not able to be tested you may end up having to receive the rabies post exposure treatment as a precaution. If there has not been any exposure to pets or individuals in the building you can try several different techniques. The simplest is to confine the bat to a specific room if possible and then open any windows or doors in the room to allow the bat to fly back outside. As a professional I have not seen this method to be very effective; however, it does occasionally work. In my experience it does not matter if the lights are left on or turned off. Regardless of the choice, make sure there is enough light to see if the bat leaves or not. If the bat will not leave, use the previously described method to capture it, but once captured take the bat outside of the building then remove the cardboard to release the it. If the bat does not fly away or leave the container, walk over to a tree and tip the canister allowing the bat to grab on to the tree or fly. Once the bat has been captured or removed proceed to the next step. Write down the time the bat was noticed inside the building as well as the current weather conditions. Then check your home for open windows, doors with gaps, storm windows not sealed, and make sure the fireplace damper is closed. To see how small an opening is required for a bat to enter, take a regular BiC© pen and cover the pen starting at the "A" in USA down to the tip. The remaining portion of the pen is roughly the size of a crack or opening an adult bat needs to enter a building. When looking for access areas do not limit your search to only the room where the bat was first seen. Bats climb more than people realize and will crawl underneath doors to move from one room to another before taking flight again. It is also very common for individual bats to enter buildings from gaps in windows created by installing an air conditioner. If this is the first time a bat has been seen in the living space there are two options available. The owner can elect to monitor this issue to see if any more bats are seen that year or they can hire a professional to evaluate their situation. 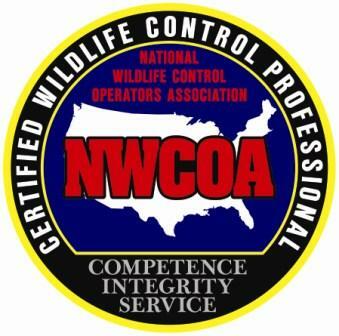 Bat work is specialty work in the wildlife control and pest control industries. When looking for a professional see if they have received any training specific to handling bats. When a company claims to have a listing on Bat Conservation International (like the image in the left window on this page), it does not mean the individual or company has received bat specific training. Rather, all it means is the company had completed an application to be listed and provided proof of liability insurance at that time. A listing on Bats, Birds, & More, Inc. or Professional Bat Management websites meant the individual had completed at least a four day lecture/hands-on workshop specific to bat management. Please note that Bat Conservation International no longer maintains a Bats in Buildings referral program or listing. Also, while the websites for Bats, Birds, & More, Inc. and Professional Bat Management are no longer updated with individuals or companies that have completed a bat training course (a two day course is now being offered by WCT Group, Inc. dba the Wildlife Control Training Company) all successful trainees have received a certificate of attendance they should be able to produce as proof of training. It is also important to note that not all training courses are the same. A one hour lecture will never be the same as a multiday course. Currently (July 2018) a national organization offers a one day "standards" course consisting of 4 - 6 hours of training while the Bat Management Short Course by WCT Group, Inc. is a everything bat two day course encompassing approximately 18-20 hours of instruction. Hence, it is highly recommend that the homeowner ask multiple questions to any contractor being considered for bat remediation regarding their training, experience, years in business, costs, licensing, and bat biology. A professional that is experienced will be able to answer these questions and prove it through pictures, testimonials, and training certificates. Ultimately it is the owners responsibility to pick a professional they can work with. As is true in most cases, the service you get tends to be directly related to the price. Once the inspection has been completed, the professional should discuss their findings and offer suggestions. It is common to discuss whether or not additional bats were located, odors noted, guano (bat droppings) found and if so the amount, parasites, staining on walls, potential access points, and type of roost or colony. Without this information it is impossible to properly evaluate the situation and propose a solution. Furthermore, when remediation services are recommended, the individual/company should be able to justify their recommendation through physical proof, pictures, video, and/or discussion involving bat biology, habits, roost types, zoonotic concerns, etc. Inspections cannot be done over the phone or via the Internet! Companies that offer bids in this manner tend to charge higher fees as they have to hire other companies to perform the work and thus have a higher cost to perform the services than a local company may. (Update: As of July 1, 2012 any company in Ohio that charges for bat remediation services must be licensed by the Ohio Division of Wildlife AND any technicians/operators that perform work on the structure must have successfully passed the Certified Nuisance Wild Animal Control Operator test every 3 years. 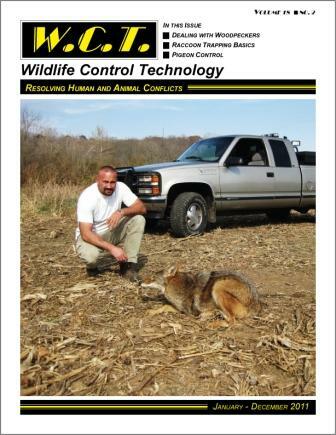 A listing of licensed companies maintained by the Ohio Division of Wildlife can be found at http://wildlife.ohiodnr.gov/portals/wildlife/pdfs/licenses%20&%20permits/CNWACO%20Current%20License%20Holders.pdf. Starting July 1, 2018 Ohio law will require that an inspection of the structure occur and when no bats are found, two bat watches be performed before any bat exclusion services can be performed.) In the medical field it would be considered malpractice to diagnose a problem and prescribe a treatment without first seeing the patient. The same principle applies to bat conflicts. Lastly, when dealing with bats there are some key points its helpful for the owner to understand so they are not taken advantage of. There are currently seven (7) species of bats out of the 47 found in the US that are protected by the Federal government. Based on how the states classify their bat species, special permits may be required even if the species in question is not Federally protected. Bats can be active year round throughout the entire United States, especially individual male bats. Anytime outside temperatures climb above 40° F it is possible to see bat activity outside. Male bats in particular can move from hibernation site to hibernation site throughout the winter months. Although bats can carry rabies there are no visual signs to determine whether the animal is infected. An individual bat in a building does not mean that there is more than one bat. Bats may not leave the buildings every night or at the same time. Bats can get sick and injured just like people and can suffer broken bones, torn membranes, exhaustion, dehydration, starvation, internal and external parasites, respiratory disorders, insect stings and bites, heat stroke, and secondary pesticide poisoning. Bat houses work better in specific situations and areas of the country than other areas. Bat work is very detailed oriented and requires a lot of time on site to perform. When dealing with more than a single bat in a home or business the first step is to hire a professional. There are no pesticides registered for use on bats and no guaranteed repellants. Ammonia, bleach, sulfur candles, moth balls, electronic devices, lights, and loud noises are not effective for removing bats, can cause health issues to those using the building, and specific to moth balls is a violation of Federal law (the label on a box of moth balls specifically states it is not to be used to repel bats or other mammals). The bat management professional has received training on identifying the specific types of bat roosts, Federal, State, and local laws for dealing with bats, as well as possessing the necessary equipment and knowledge of the proper techniques required to remove the bats without harming them. Properly identifying the species when possible and roost type as either a maternity/nursery, migratory, bachelor, or feeding roost is key to solving the issue. When dealing with multiple bats using a building it is imperative to understand that the bats are not the problem even if they appear to be. In reality the building is the problem and the bats are a symptom of it. This fact is one of the reasons why bat work requires so many hours to perform. Based on the roost type and the owners piece of mind, the professional locates all active and potential access points the building has and addresses them with the proper techniques and materials. This is the process known as bat proofing or bat exclusion. Quality bat proofing takes time and high end materials. A home owner may feel comfortable using a $2.20 tube of caulk from a home improvement store; however, the bat professional knows that material will not hold up for the job. Even though bats cannot make their own openings like mice and rats, buildings constantly expand and contract testing all joints and materials. Based on the situation, the professional may have to use multiple products to achieve the results they and the owner agreed upon. Common bat proofing materials include trim coil, PVC coated wire mesh, wood, expanding foam, backer rod, Cobra vent, bat netting, and high quality sealants. 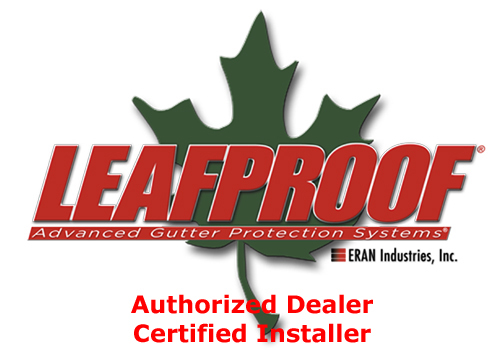 Other factors that affect bat proofing include State laws, problem wildlife such as raccoons and squirrels, ambient temperature, surface temperatures, original building materials used, and weather conditions. Although there are a lot of factors the professional needs to consider, the six steps for performing bat management services are straight forward. Step 2: Eliminate all access or potential access points to the building by working from the peak of the roof down to the ground on all sides except for those identified as primary travel pathways. Step 3: Install exclusion material over the primary travel pathways to allow any bats to leave but not return to the inside of the building. Note: This process is not recommended and may not be legal based on location from May 15 through August 15 or when pups (bats born that year) are present and not capable of flight to prevent them from becoming trapped inside. Step 4: Remove exclusion material and eliminate access points after a minimum of ten (10) days or once all bats have been verified as being excluded from the building. Step 5: Perform any guano removal, odor treatments, pesticide applications for bat bugs or other bat parasites, and replace removed insulation if required. Step 6: Maintain building with yearly inspections and maintenance. As with most projects of this nature the issue of warranties and guaranties always comes up. No individual or company can guaranty the building will never have another bat inside of it. Quite frankly, those that do are individuals/companies that do not understand bats and their behavior and should elicit a buyer beware attitude from the homeowner! The bat management professional understands they have no control over doors and windows being closed, bats being carried inside with Christmas decorations or on plants and tress, or entering through openings building and fire codes prohibit being sealed. Experienced professionals and companies instead guarantee their work, the ability for a bat colony to again use the structure as a roost site, use quality materials the manufactures guarantee, and develop rapport with the client. This is extremely important as a true solution can only be achieved by the bat professional and the client working together as a team. 3. How many years experience do you have dealing with bats? 4. What special training have you received for dealing with bats? 6. What are some of them? 7. What steps are involved with doing bat work? 8. What types of materials do you use for doing bat work? 9. What is the average cost for: inspection, bat proofing, maintenance? 10. Do you take pictures during the inspection? 11. Do you offer a written report of the inspection? 12. What can I expect after you are done bat proofing my house? 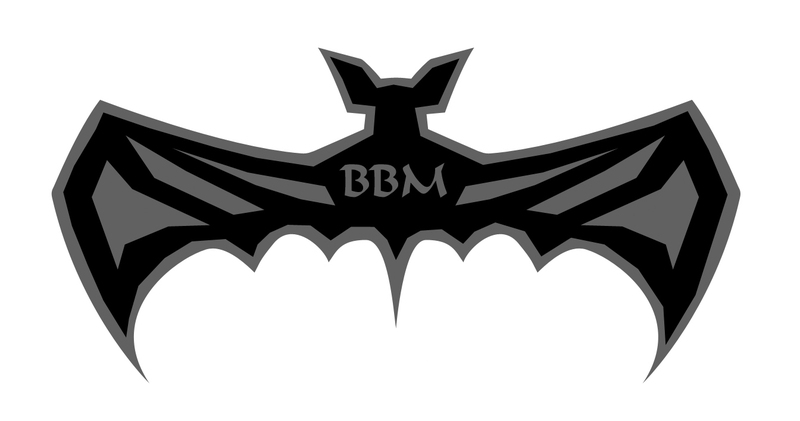 Send mail to webmaster@batsbirdsandmore.com with questions or comments about this web site. Copyright © 2009-2012 Bats, Birds, & More, Inc.